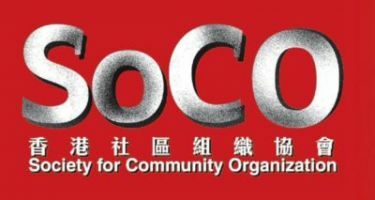 Society for Community Organization (SoCO) is a non-profit and non-governmental community organisation that provides social support for cage and cubicle dwellers, the single elderly, new immigrant women, children living in poverty, street-sleepers, people with mental illnesses, low-paid workers, refugees and ethnic minorities. Formed in 1972 by missionaries from the Catholic and Protestant churches, the Society for Community Organization (SoCO) firmly believes that everyone should be entitled to equal rights. Through its civic education programs and social actions, SoCO unites vulnerable groups of people in Hong Kong and helps them fight for better lives through a fairer distribution of social resources. SoCO also provides a range of social services to the underprivileged and their families to temporarily relieve their daily hardships. “We are motivated by a common dream, and that is: "Let us work hand in hand and shoulder to shoulder to build a caring, equal and just society." Angels for Children is proud to support SoCO’s Children Endeavour Award Project, which encourages children to study hard and learn continuously. Through a point system the children’s academic results and areas of improvements are rewarded and, once a child has accumulated a certain number of points, they can redeem prizes that range from school bags and supermarket coupons to a brand-new computer or a sponsored extra-curricular activity. In the first quarter of 2018, more than 400 children were participating in the Project and it is estimated a total of 1,500 will be participating by year end. According to the Hong Kong Poverty Situation Report in 2016, released by the Commission of Poverty, 229,500 children were living below the poverty line – which translates to one out of every four! For these children, getting a good education is key to lifting them out of poverty.